Alfred Russel Wallace (aka, as the header found on all of this site's pages suggests, 'Alfred Wallace,' 'A. R. Wallace,' 'Russel Wallace,' and, all too frequently, 'Alfred Russell (sic) Wallace') is not exactly a household name at present, but at one time he was among the world's best known men of science. Sadly, history has not been entirely kind to the memory of this honest and industrious seeker after truth, but perhaps some real effort at re-exposure might yet set the record straight. This group of pages is dedicated to doing just that: to putting before a new generation of students a summary of his accomplishments and a record of his writings in the hope that his contributions to knowledge might become better recognized and provoke more of the kind of fearless and impassioned reasoning he was famous for. Wallace was in fact a very unconventional thinker, and his worldview was both unorthodox and complex enough to confuse those who are used to looking at things in more straight-and-narrow ways. The result has been a proliferation, both in paper and electronic sources, of misinformation about the man and his work. Hopefully, this site will serve to convey a better balanced--and more accurate--appreciation of what it was he actually stood for. I am very grateful to the Museum of Paleontology, University of California (Berkeley), for mounting a preliminary version of this service as part of their 'Evolution' page in 1998, to Western Kentucky University for providing funds making it possible to move the site in 2000 and expand it in the following years, to the Interlibrary Loan group here for help in retrieving various source materials, to Yinghua Lu for help in putting up the new online version, and, over the years, to Beth Knight, Yinghua Lu, Amanda Johnston, Jennifer Rakestraw, Suzanne Hillin, Brandon Norris, Lauren E. Adams, Ramya Tata, Joshua Woleben, Meagan Miles, David Hall, Margaret Simmons, Megan Derr, Tyler Moran, Kelsey Edwards, Jamie Daumann, Anna Young, Michael Bailey, and Alyssa Pointer for assistance in the scanning and/or transcription of materials. Also to Eric Fisher in 2015 for his work on converting the site to "Version Two." --Charles H. Smith, B.A., M.A., M.L.S., Ph.D., FLS. 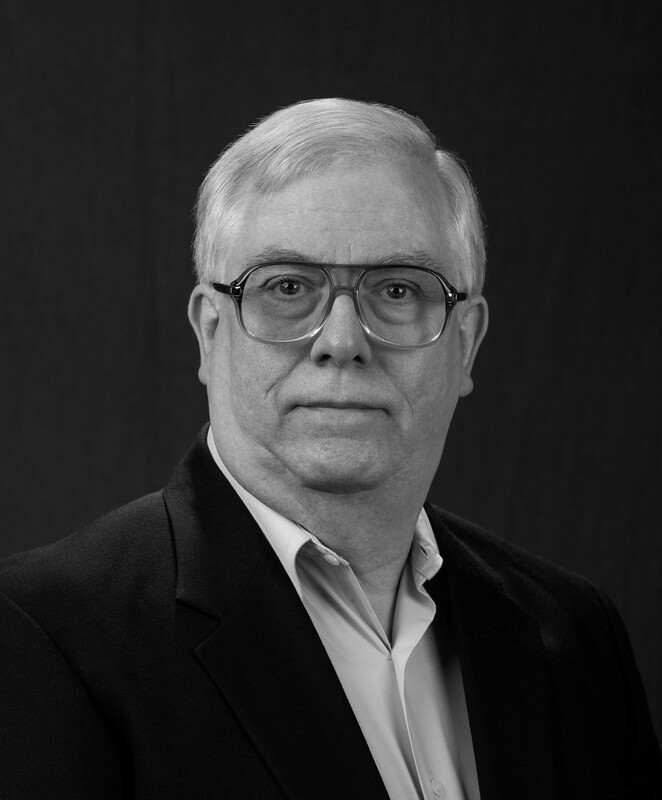 About Charles H. Smith: Now Professor Emeritus of Library Public Services at Western Kentucky University in Bowling Green, Charles Smith has been studying the work of Alfred Russel Wallace for more than forty years. Primarily a biogeographer by training, Dr. Smith also has interests in the history and philosophy of science, systems theory, statistical analysis, and bibliography; his wide-ranging efforts have earned him inclusion in Marquis Who's Who in America, Marquis Who's Who in Science & Engineering, membership in the Linnean Society of London, and a Wikipedia.org entry. His Wallace-related writings include, among others, biographical sketches for the New Dictionary of Scientific Biography; Theory in Social and Cultural Anthropology An Encyclopedia; Geographers Biobibliographical Studies Volume 8; the Dictionary of Nineteenth-Century British Philosophers; the Biographical Encyclopedia of Astronomers; and the Oxford Dictionary of National Biography. Other works by Dr. Smith concerning Wallace include: Alfred Russel Wallace: Evolution of an Evolutionist (online monograph); "The Once and Future Wallace..." (website); Dear Sir: Sixty-Nine Years of Alfred Russel Wallace Letters to the Editor (Siri Scientific Press, Charles H. Smith & Kelsey Patterson, editors); Enquête sur un Aventurier de l'Esprit: Le Véritable Alfred Russel Wallace (Les Éditions de l'Évolution); Alfred Russel Wallace's 1886-1887 Travel Diary: The North American Lecture Tour (Siri Scientific Press, Charles H. Smith & Megan Derr, editors); Natural Selection and Beyond: The Intellectual Legacy of Alfred Russel Wallace (Oxford University Press, Charles H. Smith & George Beccaloni, editors); 'Wallace, Spiritualism, and Beyond: "Change," or "No Change"?' (in Smith & Beccaloni, eds., Natural Selection and Beyond: The Intellectual Legacy of Alfred Russel Wallace); 'Alfred Russel Wallace Notes 6: More on the Mailing Date of the Ternate Essay to Darwin' (The Linnean); 'Alfred Russel Wallace and the Road to Natural Selection, 1844 to 1858' (Journal of the History of Biology); 'Alfred Russel Wallace Notes 5: Just How Well Known Was Wallace in His Own Time?' (The Linnean); 'Wallace, Darwin, and Ternate 1858' (Notes & Records); 'Alfred Russel Wallace's World of Final Causes' (Theory in Biosciences); 'A Further Look at the 1858 Wallace-Darwin Mail Delivery Question' (Biological Journal of the Linnean Society); 'What Lives Where, and Why: Alfred Russel Wallace, and the Field of Biogeography' (Science & Technology Libraries); 'Natural Selection: A Concept in Need of Some Evolution?' (Complexity); 'Alfred Russel Wallace and the Elimination of the Unfit' (Journal of Biosciences); 'Alfred Russel Wallace Notes 4. Contributions to The Garden, 1875-1912' (Archives of Natural History); 'Alfred Russel Wallace Notes 3. Two Early Publications' (Archives of Natural History); 'Alfred Russel Wallace Notes 2. The Spelling "Russel", and Wallace's Date of Birth' (Archives of Natural History); 'Alfred Russel Wallace, Geographer' (Geography Compass); 'Alfred Russel Wallace Notes 1. Authorship of Two Early Works' (Archives of Natural History); 'What's in a Word? On Reading--and Misreading--Alfred Russel Wallace' (The Linnean); '"Hussel," "Bussel" and "Kussel," Or, Using Google Books to Stalk the Elusive Alfred Russel Wallace' (Kentucky Libraries), 'Alfred Russel Wallace, Journalist' (Archives of Natural History); 'Introduction' to Batu-Angas; Envisioning Nature with Alfred Russel Wallace (poems by Anne Cluysenaar); 'Reflections on Wallace' (Nature); 'Alfred Russel Wallace, Past and Future' (Journal of Biogeography); 'Wallace's Unfinished Business' (Complexity); 'Alfred Russel Wallace on Man: A Famous "Change of Mind"--Or Not?' (History and Philosophy of the Life Sciences); 'Introduction' to Volume One of Alfred Russel Wallace: Writings on Evolution, 1843-1912 (Thoemmes Continuum, 3 vols., Charles H. Smith, editor); 'Alfred Russel Wallace, Societal Planning and Environmental Agenda' (Environmental Conservation); 'The World of Life: Biodiversity Studies' (Choice); 'A System of World Mammal Faunal Regions' (Journal of Biogeography); 'Historical Biogeography: Geography as Evolution, Evolution as Geography' (New Zealand Journal of Zoology); Alfred Russel Wallace: An Anthology of His Shorter Writings (Oxford University Press, Charles H. Smith, editor); Alfred Russel Wallace on Spiritualism, Man, and Evolution: An Analytical Essay (electronic adaptation of a privately printed pamphlet); 'Alfred Russel Wallace on Evolution: A Change of Mind?' (symposium presentation); 'Additions to the Bibliography of Alfred Russel Wallace' (Archives of Natural History); 'Further Additions to the Bibliography of Alfred Russel Wallace (1823-1913)' (Archives of Natural History); and '"It's On the Web..."--Or, When is a "Russel" a "Russel"?' [for bibliographic details on books and articles see Dr. Smith's homepage]. Dr. Smith may be contacted for questions or comments at Apt. 403, 1317 Scottsville Road, Bowling Green, KY 42104, or by email at: charles.smith@wku.edu.